What has happened to the Wool Industry? The paragraph below is an exert from "The AG Letter"
6000 sheep su, this has wiped around $46,000 off the wool income for this financial year compared to last"
What has happened to the wool industry of late? 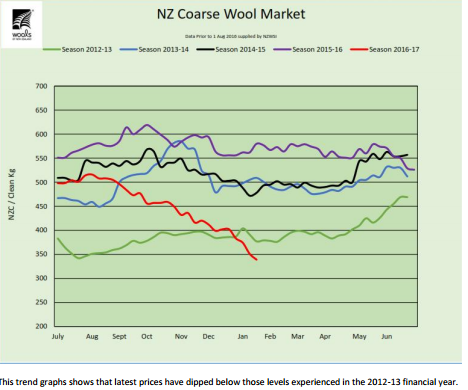 There was a call from a senior analyst talking on the "Country" radio station the other week - for farmers to hold onto wool if they are financially able to do so - is this a solution ? What else can be done?